Rancho Mirage is widely know as the “Presidents Playground” due to a rich history of presidents visiting the historic Annenberg Estate at Sunnylands and, more recently, presidential visits to the privately owned Porcupine Creek Golf Estate. Aside from presidents visiting the area, Rancho Mirage is recognized for it’s unique luxury lifestyle of gated communities, majestic golf course estates, fine dining and prolific tennis facilities. Rancho Mirage is also the home to some of the best health, wellness and cultural institutions found anywhere. These facilities include; the Eisenhower Medical Center, Betty Ford Center, a 1000 seat outdoor amphitheater, library, Barbara Sinatra Children’s Center, The Children’s Discovery Museum of the Desert and the Sunnylands Gardens. These fantastic facilities make the community of Rancho Mirage a perfect to visit or call home. Rancho Mirage promises homebuyers some of the best selection of gated communities in the US. With over 80 gated communities to choose from. 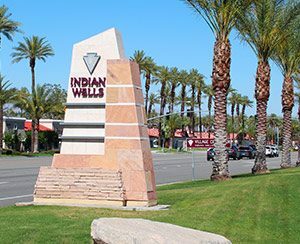 Surpassing the average median home price Rancho Mirage homes list and sell higher than most cities in the Coachella Valley, but still offers condos and homes at prices that are certainly more affordable than most of Southern California costal cities. If you are searching for the perfect home on the golf course or a home with maximum privacy and security surely Rancho Mirage is a great place to start your home search.